Look who's off to college! My oldest son left home for college last week. It was both easier and harder than I expected. He’s been working toward this moment for years, and it feels like we’ve been planning, visiting schools, and talking about test scores, grades, and financial aid forever. I was ready. He’s a solid, responsible, mature kid. This has always been our dream/plan for him, and he got into his first-choice university. I was ready. But then as we said goodbye and walked away from his dorm on Saturday I realized that he was truly out of the house. Out. Gone. An adult who would come visit on breaks and during the summer, but with whom we’d no longer share the daily routine of home, the spontaneous conversations, dinners out on the weekend. Yes, we are connected via text messages, email, phone calls, FaceTime, and airplanes. Yes, he’ll be back when school’s out next summer. But it’s not the same. Maybe I wasn't ready. Maybe I'll never be. That old cliché that “they grow up so fast” is a cliché for a reason. 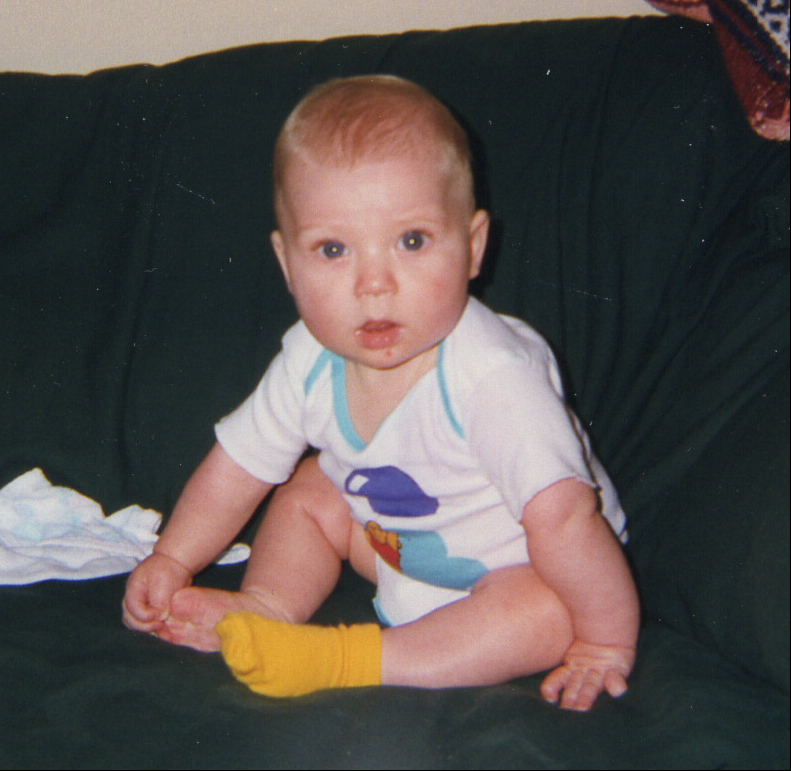 I can’t believe my eight-pound baby boy is now a freshman in college, making his own way in the world, (mostly) without us. I’m happy for him, proud of him, and happy for us. I’m excited for him because he’s exactly where he wants to be, doing what he wants to do. Letting go was easy because I trust him and believe in him. It’s also the hardest thing I’ve ever done. What a beautiful message from a smart Mommy ! Thanks, Laurie. I’m sure he’ll be fine. It’s me I’m worried about. 😉 And I have to do this again in two years… Good luck with yours! This is a nice tribute to your son and to you, as a parent. A very wise man gave me some advice before our son was born: You can’t be with your child 24 hours a day, making decisions for them and keeping them from harm. The best thing a parent can do is to teach them right from wrong and trust that they will make the right decisions on their own. It sounds to me like you have accomplished that goal. Been there, done that–twice–with son and daughter, and then a few years later for each of their weddings. It was not easy, that first time saying goodbye, especially, but it does get better. Good luck to your son and his caring family. After all, that’s the most important thing! Mark: Oh, man, weddings! I’m definitely not ready for all that yet, though I’m hoping for some grandbabies someday. A long time from now. 😉 Thank you! Well said, Gwen. It is a tribute to all of you that he is beginning to live “his” dreams. May they be all that he hopes. I am sending you this link to and heat felt audio talk that may help you to truly sooth yourself with self compassion and love. Congratulation on contributing a well rounded young man to the world. We are all grateful. What makes it easier on us, I think, is how ready they are to go. Each of my kids seemed restless toward the end. I could see it was time for them to spread their wings. It doesn’t make it easy for us, the ones left behind, though, does it? There’s a stillness in the house at just never goes away. Or not yet anyway. Another great post, Gwen. Sending you a giant hug. Think about when you left home and do what you thought your mom should have been doing — enjoying life and moving toward all the goals you put on hold up till now. Being sad means you love him as much as you should. I know he’s a great kid and you’re a great mom. I asked a couple years ago, “Who said he could grow up. ?” 🙂 Sure nuff, he just went and did it. I hope you and your beloved are celebrating a parent’s job well done. The cool part as a parent, after the “letting go,” comes a neat transition to caring consultant and back-up resource. It’s a good transition and one that comes with a little time. But, it is a pure joy and sometimes gut wrenching because you can’t fix it, to have your younguns call and ask advice, wrestle with tuff decisions, wonder out loud with you about things and just talk about stuff. This old man has one bit of unsolicited advice. Trust your raising. Thanks so much, Curtis. I’m already on consultant status. 😉 I appreciate the great advice! And all of us “kids” who finally grew up many years later to be our parents’ ages will also say–“Where did the time go.” Anyway, I wish your son good fortune both with his grades (It ain’t high school anymore) and his future. Peace. loujenhaxmyor: Ha, so true. I feel like I just went to college myself sometimes. (So does my dad. 😉 ) Thank you! Just because he’s gone doesn’t mean he doesn’t need you, you know, Gwen! When my son (our only child) left for university, I was working at his school. I cried the entire day. That first night, we got a call: ‘I’ve locked my locker key in my locker – can you bring me the spare from my bedside cabinet?’ So we got in the car and drove his key to him. Yes, we could have made him wait for the supervisor next day – but we didn’t, because we could do it and because he asked (so rare in a young chap to admit a mistake!) and because he still needed our help. I was absolutely fine after that. I made his room neat and tidy and shut the door so that I didn’t have to look at it, and then I just got on with being two instead of three. We all have to grow up – parents too! Ha, you’re absolutely right, lorraine56. I’ve already seen evidence of that and it’s nice to still be needed on some level. And I just moved my office into his room (our new house only has three bedrooms so I had to wait), but I left his bed and dresser for when he comes back. 😉 Thanks for sharing your story and advice! I have tears in my eyes. Ugh. Yes, I’m an emotional wreck right now, but just thinking of sending my twin boys to nursery is making me flinch. And that’s only 15 hours a week. Next year. Brought a tear to my eye, and my daughter is only 7! But I appreciate reminders like this one that time flies so fast, and our time together is so precious. Good luck with the next stage for your family.